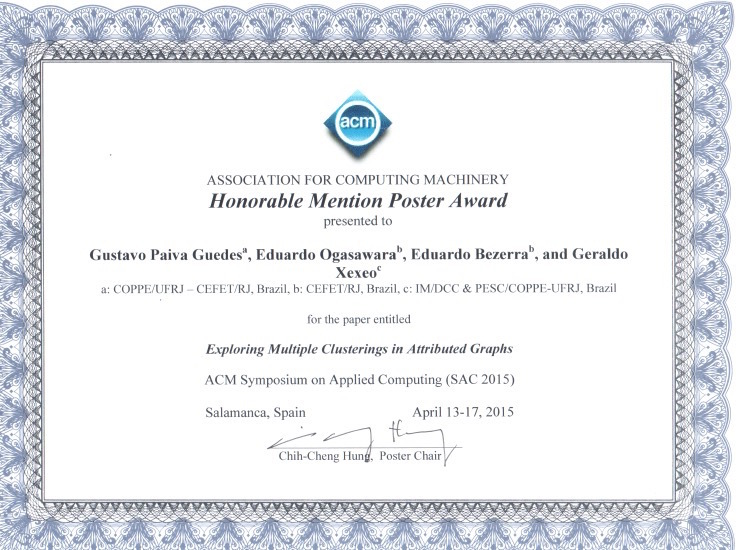 Honorable poster award for the work “Exploring Multiple Clusters in Attributed Graphs” at the ACM Symposium on Applied Computing (SAC 2015). Authors: Gustavo Guedes, Eduardo Ogasawara, Eduardo Bezerra and Geraldo Xexéo. The article was related to the Ph.D. Gustavo Guedes.